I had looked forward to meeting with you and/or one of the other members of the Parole Board this year to testify in support of the parole of Jens Soering. When I called to make an appointment for myself, Ms. Gail Marshall, and Professor Mary Tate of the University of Richmond Law School’s Innocence Project, I was advised that Parole Board procedures stipulate that meetings may be scheduled only at every other annual parole review. Since Ms. Marshall and I had testified last year and cannot attend a meeting this year, I am writing to offer the following testimony in writing. During my testimony before you and the other board members on August 20 of last year, I mentioned that Jens had expressed remorse in several articles, in his books, and in particular his latest book, “The Church of the Second Chance – A Faith Based Approach to Prison Reform”, scheduled for publication in the Fall of this year. You then asked, “What is he remorseful for?” My response was that, based on what Jens has written in his books, Jens felt that he deserved some punishment for the deaths of the Haysoms because he did not take action to intervene and help Elizabeth. At this point you commented, “So he still claims he is innocent?” When I responded yes, you stated that you had read all of the trial and appeal transcripts and you had no doubt that he committed the murders. You then said that an admission of guilt and remorse was a condition of demonstrating rehabilitation necessary for parole. My response was that Jens could not and would not admit to doing something he never did. He made that mistake once when he falsely confessed and he would never do that again. You then asked why I thought he did that, and I told you I couldn’t answer that, but based on what Jens had written in his books, it was to keep Elizabeth from being charged with capital murder and his belief that because he was a German citizen he would be tried in Germany. You then asked me if Jens did not do it then who did. I said I didn’t know but presumably Elizabeth. Your response was, “She wasn’t strong enough to do it alone.” I said then maybe she had help from someone else but it was not Jens. 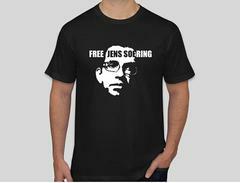 At my suggestion, Jens sent a letter to you and the other Board members on August 29, 2007, that specifically addressed your question as to what he was remorseful for and the question of his guilt and innocence. Later in this discussion you asked my opinion of what the impact the parole of Jens might have on Elizabeth Haysom and her parole status. I stated that I could not comment on that, but I had heard that members of Elizabeth’s family opposed her parole. You told me that this information was not accurate and that there was support for her parole. Ms. Sievers then expressed the opinion that Elizabeth was doing very well and had demonstrated signs of rehabilitation. During my testimony this year along with Gail Marshall and Professor Mary Tate, I had hoped to have the opportunity to address these questions and other related issues. Since that is not possible I am taking this opportunity to provide a much abbreviated version of the planned testimony. I had planned to bring several pages of newspaper and magazine clippings of cases in which women – and even teenage girls that were younger than Elizabeth was in 1985 – committed murder by stabbing their victims with a knife. Most of these crimes occurred in Virginia. While these articles provide evidence of the strength and ability of young and relatively petite women to overcome, and stab multiple times, people considerably bigger than themselves, I decided not to include them because it is really not directly relevant to the guilt or innocence of Jens. Bill Sizemore, a columnist for the Virginian Pilot, wrote an article about Jens last February (“No Hope”, February 18, 2007). Mr. Sizemore did extensive research prior to publishing the article and was required by his editors to provide a strong defense of all of the factual content of the materials to guard against libel charges. In his article, Mr. Sizemore lists the fact that Elizabeth changed her story of what happened five times, including the descriptions of the murder weapon and the so-called alibi movie tickets. This is significant because it demonstrates that Elizabeth lied - not just about some side issue but about where she was at the time of the crime and the murder weapon itself. I provided copies of the article to Ms. Sievers during the meeting with the Parole Board that I attended with Bishop Sullivan on March 28, 2007. However, in this letter I am including the sidebar about the changing stories of Elizabeth. Lying about these central elements of a case could certainly imply evidence of guilt. 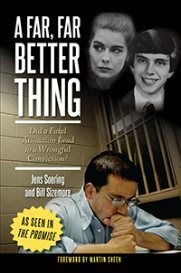 In her letter to the Parole Board on May 5, 2003, Gail Marshall provided a detailed review of the case against Jens and her unqualified conclusion that Jens was innocent. I am enclosing a copy of that letter because it states very well the case for concluding that Jens is innocent. None of this evidence is in dispute. The prosecution and defense merely disagree on its interpretation. Many people, including Gail Marshall and reporter Bill Sizemore, have concluded that the more logical conclusion is that this crime was committed by two people, not one; and that one of the perpetrators was almost certainly Elizabeth; and that the other was probably not Jens's. What seems certain though, in view of this undisputed forensic evidence, is that Jens’s 1986 confession – that he killed the Haysoms by himself – cannot possibly be true. Because of your strong conviction that Jens is guilty, and your stated position that an admission of guilt and remorse was a condition of demonstrating rehabilitation necessary for parole, Jens has asked that I pass on to you his urgent desire to be formally or informally interrogated by you about the crime in order to convince you of his innocence. He is willing to sign a Miranda waiver. He urges that you consider bringing Gail Marshall along with you, not as his counsel (he requests none), but as your fact checker – to ensure his truthfulness. When Jens suggested this, I told him that there was no way you would agree to such a proposal. However, as you recall, I doubted that you would be willing to attend the C.U.R.E. parole forum in Richmond on April 21 and I was wrong. You and Mr. Stump, and Mr. McCollum did attend, and it was very beneficial to all of the people who were there. Hopefully I will be wrong again. In conclusion, as I stated in the beginning, I was hopeful that I would have the opportunity to meet with you and/or other board members along with Gail Marshall in order to discuss these matters directly. During the parole hearing last August I was not prepared to present a defense of Jens’s guilt or innocence because I had not anticipated issues like this coming up during our testimony and Gail, who was most knowledgeable of all of these facts, was unable to attend. I thank you for your consideration and deliberation now and in the past year. The following are Jens's comments (not Tom Elliott's) on the significance of the evidence for two perpetrators. Common objections to the significance of both sock and shoe prints: Jens’s “confession” accounts for the sock prints and the shoe prints: he killed the Haysoms, went outside, came back in – and removed his shoes so as not to leave even more shoe prints. My response 2: The “footprints could not be sized with precision” (A.G.’s brief of March 10, 1997). But the sneaker prints can be sized with precision; according to a Bedford County deputy's report, it was made by a "woman or small boy." In fact the sneaker print LR2 is the strongest evidence that my “confession” is untrue. Common objection to the significance of the B-type blood: None. To explain it away, the prosecution had to argue that the B was really the victim’s AB, with the A-factor “masked.” The serologist was clearly very uncomfortable with this theory. Nowhere else at the crime scene did the blood test malfunction to give a false reading of B. And if blood tests can malfunction like this, who is to say that the reading of O is not also a malfunction? Common objection to the significance of Elizabeth's prints on the vodka bottle: Elizabeth left that fingerprint one week earlier, when she visited her parents (and, by her own admission, stole her mother’s jewelry). My response: This is indeed possible. But the Haysoms were heavy drinkers, probably alcoholics. How likely is it that a fingerprint would last a whole week on an open (!) bottle on the front (!) row of the liquor cabinet? Common objections to the altercation's spreading in two directions: None. This is not possible. Other details of my “confession” are equally impossible: Supposedly, Derek was shouting at me “What are you doing?” after I cut his throat. Common objections to the significance of the presence of the hair that wasn't Jens's: The hair could have been left there before the perpetrator(s) washed off blood, so it need not belong to a perpetrator. My response: The perpetrator(s) clearly spent a lot of time washing up: There was even blood residue in the shower (yet another detail that my “confession” does not mention and cannot explain). If you run water more than a few seconds, a hair will be washed away. The police clearly thought the hair was important, because they were eager to compare mine to the hair in the sink. The real question is: Why was Elizabeth’s hair never compared? Or was it? Maybe there were two perpetrators at the crime scene. If so, the two were Elizabeth and Jens! My response: That is not possible. The prosecution has never even suggested that the movie tickets are not an iron-clad alibi; they are! But the prosecution insists that Elizabeth is the purchaser. If Elizabeth and I were both at the crime scene, then there has to be a third conspirator. Who? The whole basis of this crime is a twisted relationship/“love” between Elizabeth and myself … whether that relationship led me to commit murder, or to cover up her murder. For a third person to become part of this twisted “love” would be impossible – a murderous ménage à trois? What does make sense is that I was the patsy – and perhaps planned to be the patsy – in a plot between Elizabeth and her drug connections. She admitted at my trial that she had been continuing her whole “secret life” of a drug user in parallel to her relationship with me, without my knowing about this. (She told me she was done with drugs – until the afternoon of the murders.) I only agreed to take the rap for her because I never suspected anyone else was involved. If she had mentioned anyone else being at the crime scene, I would never have agreed to sacrifice myself for her and her drug dealer/secret boyfriend, etc. If Elizabeth left the sock print, then the second perpetrator left the sneaker print LR2 – and the sneaker print is definitely too small to have been left by me. The fingerprint on the shot glass near Derek Haysom’s body was not mine (or Elizabeth’s). Derek and Nancy Haysom’s high blood alcohol levels make that shot glass very significant. It was on a side table near Derek Haysom’s body, with his fingerprint on one side and the unidentified fingerprint on the other side. The police expended a great deal of time and effort on this particular piece of evidence, even comparing it to the Hillside Strangler in California and possible suspects in Canada! That fingerprint matters – and it is not mine. The hair in the bloodstained bathroom sink (next to the bloodstained shower) is not mine. Clearly, this hair was left by a perpetrator. It should be DNA-tested – if it turns out to be Elizabeth’s, then that places her at the crime scene. If it turns out to be someone else’s, then that proves I’m not her accomplice. Either way, I win. Of course it is my personal belief that the prosecution was not telling the truth when it claimed that this hair was never compared to Elizabeth’s. Why on earth would they not compare it? I believe they did compare it – and got results they did not like. The manner of the homicides strongly suggests that drugs played a role; Richard Neaton’s friends in the police department in Detroit told him this was obviously a “junkie” crime. Everyone – including Elizabeth – agrees that she was an addict and I did not use drugs. Her accomplice most likely was one of her drug addict friends/lovers. If Elizabeth was there, why doesn’t she tell the truth now and say who her accomplice was? My response: Because she wants to make parole! If she reveals who her accomplice was, that person will say that she was at the crime scene, wielding a knife. That will end her chance of parole. She needs to maintain the fiction that she was far away, in Washington – even though she can’t keep that story straight, as Bill Sizemore proved in his article "No hope."